27 percent more timber is grown than harvested from our managed forests every year. American landowners plant more than two billion trees every year. In addition, millions of trees seed naturally. The forest products industry, which comprises about 15 percent of forestland ownership, is responsible for 41 percent of replanted forest acreage. That works out to more than one billion trees a year, or about three million trees planted every day. Canada’s replanting record shows a fourfold increase in the number of trees planted between 1975 and 1990. There are 750 million acres of forestland in the U.S. today, about the same as in 1907. 11 states had increases in forestland of over 25 percent over the last century, and nine had increases of over 30 percent. Overall, forestland in the northern U.S. has increased by almost 30 percent. 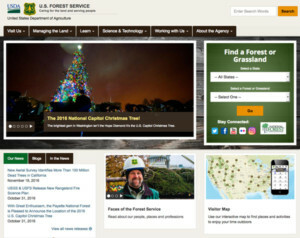 For more information, visit the USDA Forest Service website. A 2004 Consortium for Research on Renewable Industrial Materials (CORRIM) study gave scientific validation to the strength of wood as a green building product. Using sophisticated life cycle assessment tools, CORRIM’s scientists measured building products’ environmental footprint from cradle to grave. Waste utilization and bioenergy go hand in hand. Over one half of the energy needed for wood production comes from tree bark, sawdust and other natural by-products. The U.S. and Canadian wood products industries are leaders in bioenergy use – the U.S. wood products industry alone accounts for 60 percent of the nation’s bioenergy production and use!